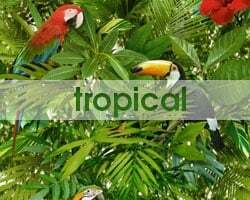 Animal wallpapers make bringing the peace, beauty and diversity of nature into your home easy and effective. 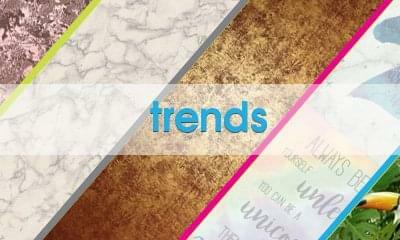 One of the hottest interior design trends at the moment, animal print wallpapers don’t always have to be bold and brash. 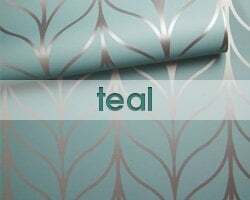 From loud leopard prints to subtle bird feathers, there’s so much out there for you to create the type of tone, character and atmosphere you want in your home using just animal pattern wallcoverings. 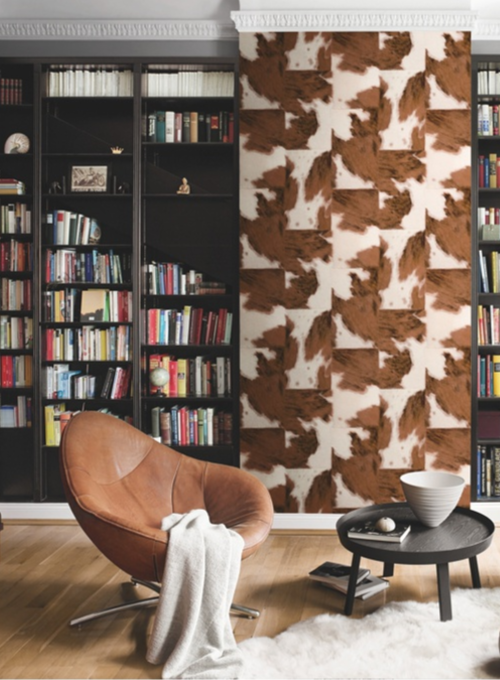 So, check out our best-selling animal wallpaper selection to see how you can do up your own home to suit your own style and taste. What we love about interior design in 2017 is ‘trend fusion’. Eastern simplicity meets Western commercialism; natural leather sofas next to coloured plastic side tables; classic damask wallpaper patterns encircling a contemporary chrome dining set. This is why the Animals in Frames wallpaper from Muriva below is such a popular choice for DIY interior designers. 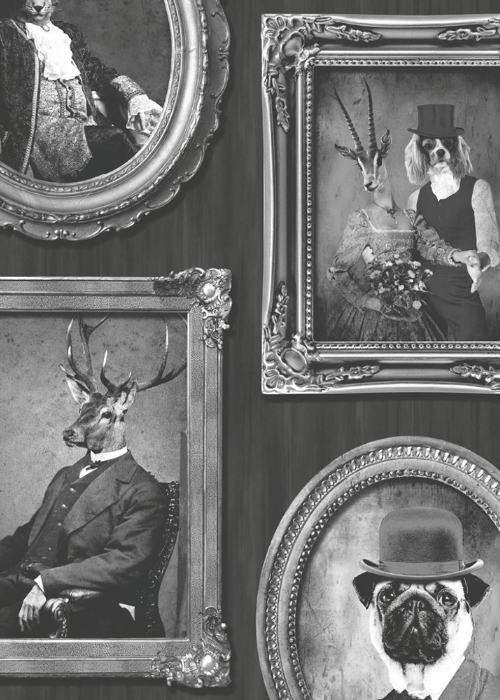 Combining vintage colours and photo frames with images of stags and pugs is a perfect example of the retro style merging with animal wallpaper. This strong design makes a fantastic feature wall and you could even juxtapose it with photo collages of your family on adjoining walls. 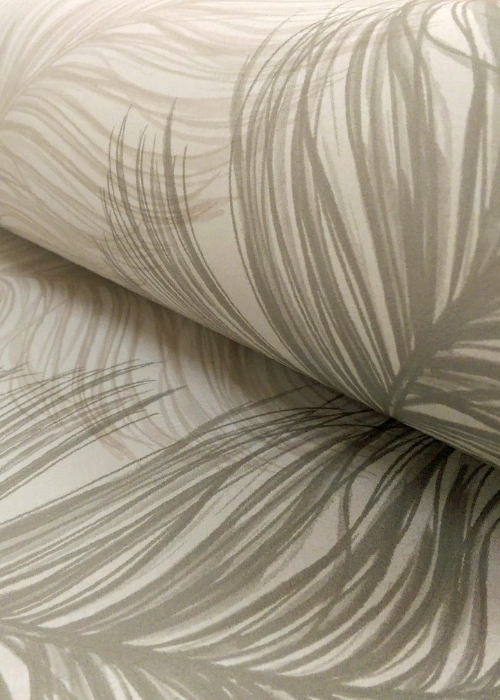 Animal wallpaper doesn’t have to be face prints, striped fur or snakeskin. 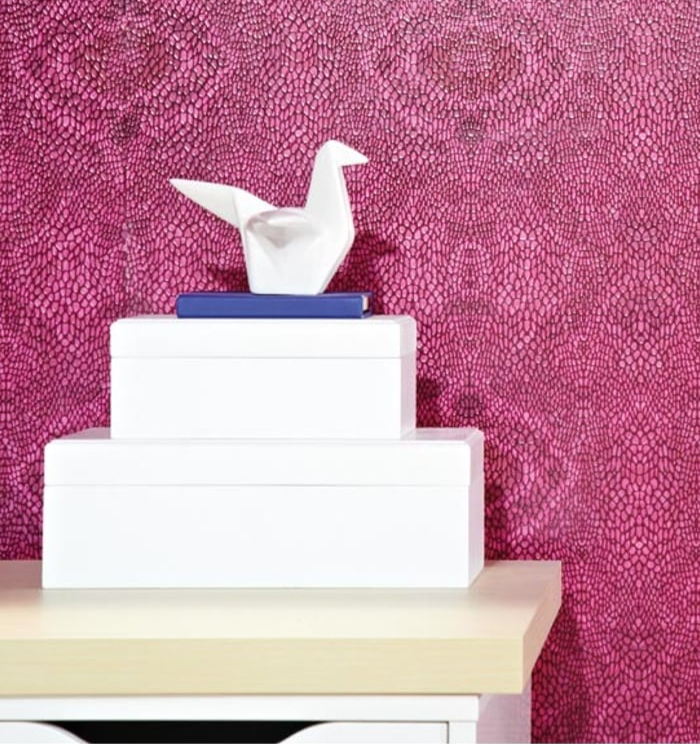 This soft and subtle Opera House wallpaper from Arthouse features a falling feather design that is ideal if you love the animal wallpaper trend, but don’t want something too loud. The slight contrast of beige and cream is elegant and easy to complement with a range of colour schemes. Plus, we think the fluid, soft strokes of the feather detailing is actually very calming and soothing, so it might hang well in a bedroom or somewhere else you go to relax. Animal wallpapers are massively realistic now. Looking at most of them, you feel as if you could touch the wall and it’d feel real — especially this Wolf Fur Pattern design from A.S Creations. The expert brush-stroke texturing effect creates a short, thick, slightly ruffled, warm brown fur that looks invitingly cosy, which is perfect if you’re trying to fashion a snug and homely atmosphere. And, unlike some more bold designs, we reckon this is subtle enough to run throughout an entire room without overpowering the rest of the furnishings and furniture. We’ve gone off-piste with this one, as strictly speaking this isn’t an animal wallpaper. However, it’s very much in the animal interior design category and a popular one at that. 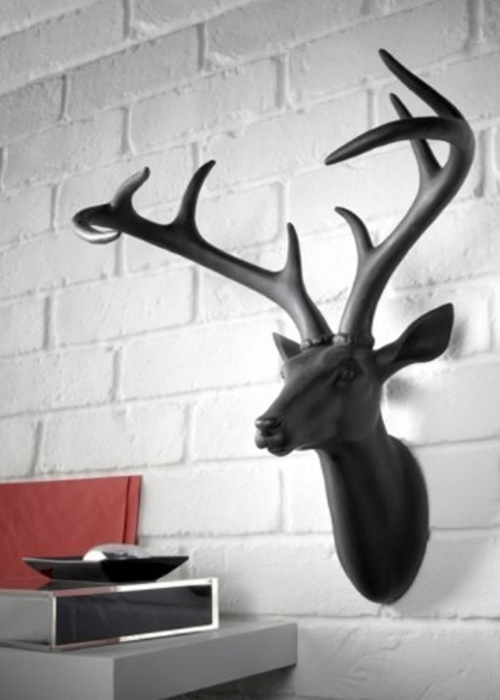 This wall-mounted stag head exudes tradition and elegance — without the unsightliness of being a real hunting trophy. Although pretty unmissable to anyone entering the room, the minimalist, all-black design makes it slightly more subtle, as well as easier to match with a variety of wall colours. Similar to the Animal Frames wallpaper, this decorative stag head fuses two trends — the retro/vintage appeal of a stately manor and the minimalism of all-black — for a powerful overall effect. There can’t be an animal wallpaper list in existence that doesn’t feature the iconic leopard style somewhere. 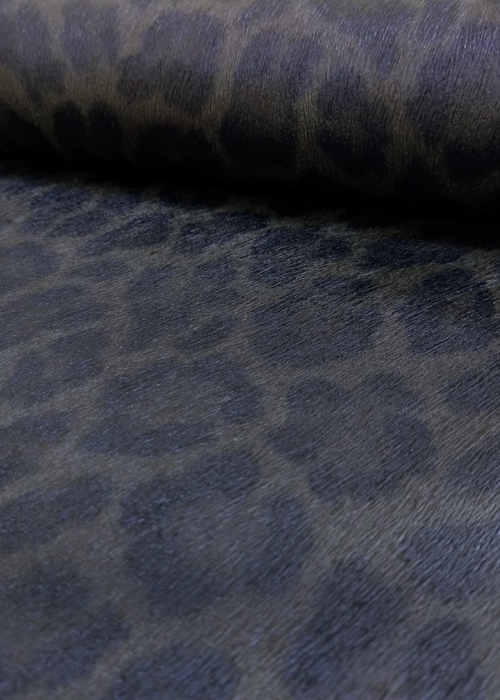 Our best-selling product featuring this big cat pattern is the Leopard Print Faux-Effect Fur from Rasch, which puts an eye-catching spin on the trend with dark, metallic blue detailing. This slight shimmer and understated colouring helps create a more subtle approach to the typically loud leopard print coats and handbags we’re used to seeing. It also pairs wonderfully with charcoal sofas and chairs, which helps bring out the metallic shading. Veering over to the other end of the spectrum: if you are going for something bold and daring, check out this Ipanema Snakeskin animal wallpaper from Arthouse. Although you can get the design in tamer black, stone and natural shades; we suggest just going for it in hot pink if you’re going snakeskin. 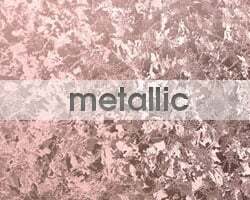 This animal wallpaper style looks amazing in a studio, office or den matched with white or cream furniture to bring out the scale detailing and loud pink colouring. Or, if you love it so much that you want it to be in a major room in your home where your friends and family frequent, then why not make a focus wall on the chimney breast? 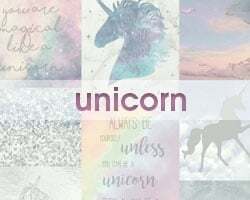 Or even hang it on opposite walls with a light pink of beige buffer between. Farmyards might not be the first dwelling you think of when you imagine the kinds of creatures you’d emulate in your interior design choices. But forget tropical forests and exotic islands, why not fly the flag for the forever faithful cow? 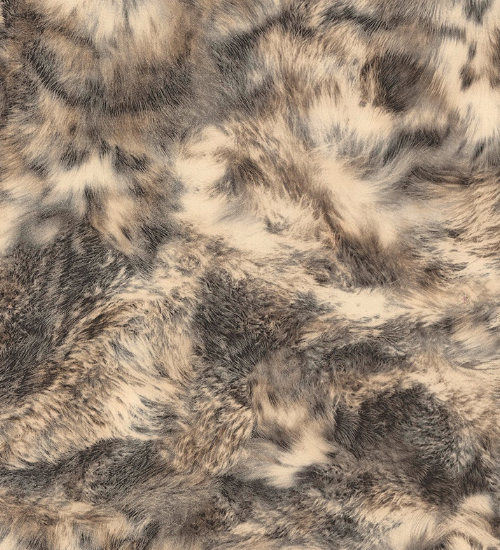 This Cowskin Pattern Faux-Effect Fur wallpaper from Rasch is even more off-the-wall than the other designs we’ve already seen, so you have an even better chance of creating an unforgettable home decor that will have your guests admiring throughout their visit. 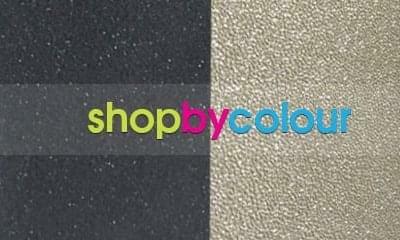 The amazing textured finish is testament to the quality of the product. Plus, it helps to give this animal wallpaper a real rustic feel that would fit a homely kitchen — especially if you pair it with wooden dining sets and breakfast tables. If not the kitchen, hang it in a library or office with comfy leather chairs instead. 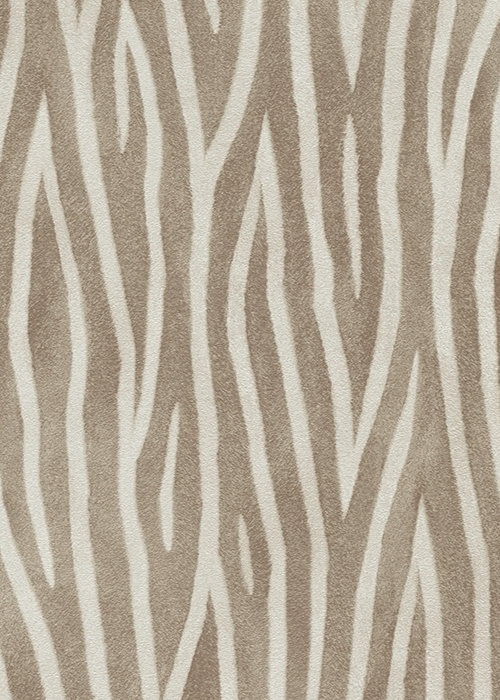 If you have your heart set on safari, then perhaps this Sambesi Zebra Stripe animal wallpaper from Erisman is more your thing? 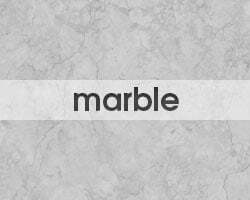 What we like about this design is the playful twist on a recognisable pattern. So, instead of the typical black and white design, you have the famous zebra pattern in a more easygoing brown/taupe/beige colour palette. This gives you a wider choice of furniture and furnishings to complement your walls, plus it’s always better to have something a bit different from what people are expecting to put your own stamp on things. If you’re thinking of redecorating your kids’ rooms, why not get them in on the animal wallpaper trend, too? 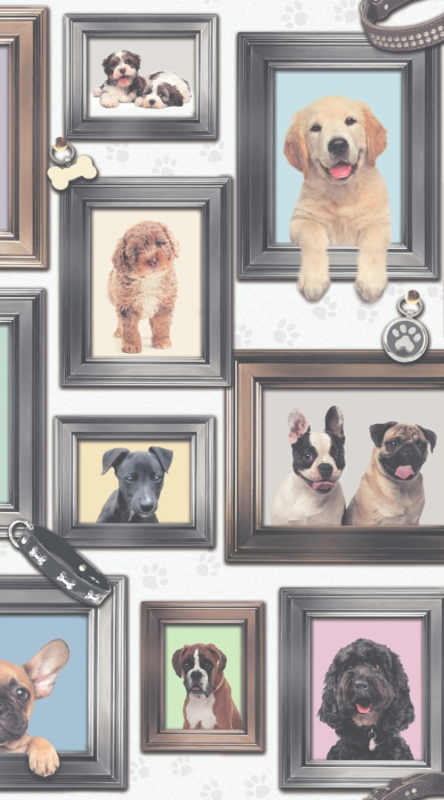 This Puppy Love Dogs in Frames from Rasch is cute, happy and full of different breeds to keep it looking interesting. Neutral in colour, it won’t look out of place with existing furniture and furnishings and it even has an almost 3D effect thanks to the collars, dog tags and pups leaning out of photo frames. Great for boys and girls. 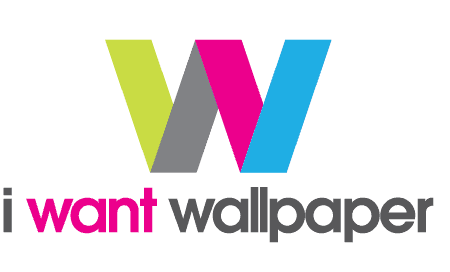 If you want to browse our full range, head to our animal print wallpaper selection.